Sometimes you just want to feel like a badass, even you are the farthest thing from one, right? That's what I love about fashion, you can be feminine and flirty one day, and a badass chick the next. Loooooove your hair like that! Ummmm I die for this outfit!!! I love the rocket jacket paired with the heels :) so fun! It's so fun to be "tough" every now and then! 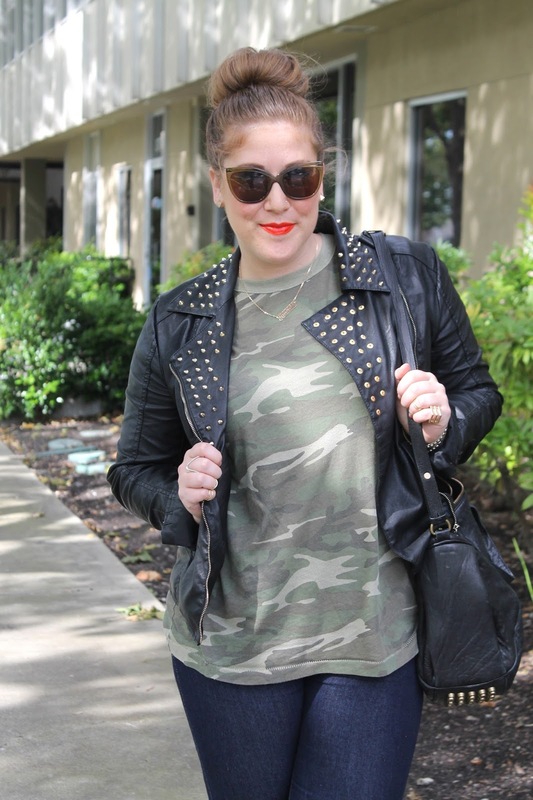 Love the camo tee....I'm still searching for the perfect camo piece to add to my wardrobe. Kind of obsessed with your tatoo! Want it so bad. Girrrl, but you are a badass. Duh. 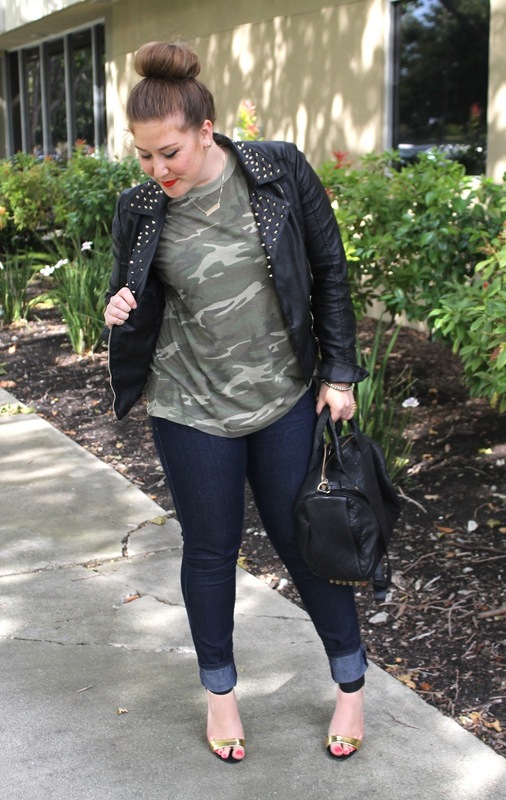 Killing it as always, love the heels, the lip, the tee- just so good! I love this! 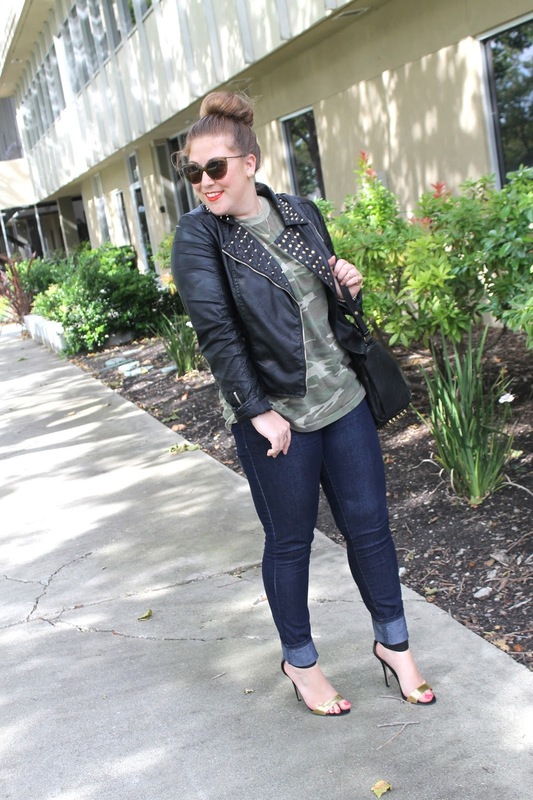 The leather, the studs, the shoes... Looks effortless, but totally kickass. 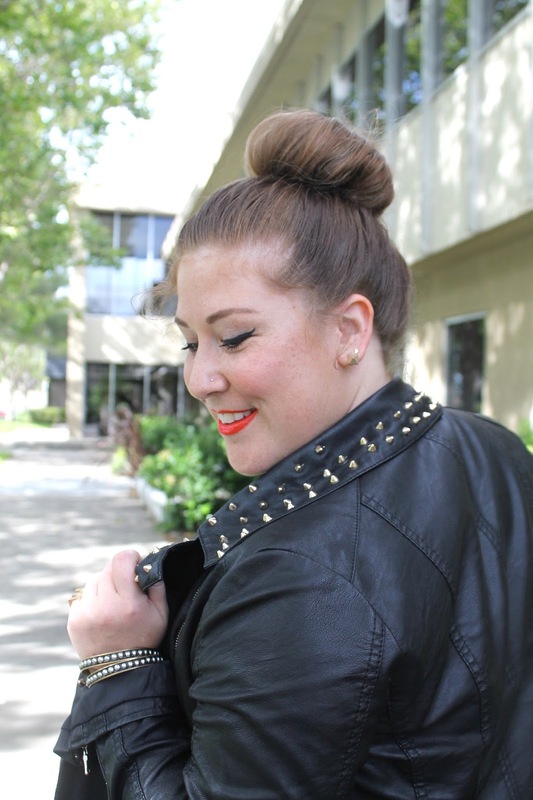 BTW - you always have the perfect hair bun. Completely jealous!